Geological Column - Lithological Log. c. 3,500 years - present day. 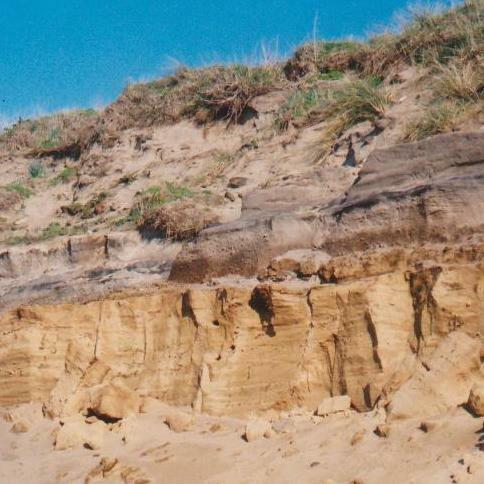 Dune sands with some humic intervals; deposited by prevailing westerly winds as the sea level rose. Les Mielles dune system, St. Ouëns Bay. c. 7,090 - 3,500 bp. Peat beds with tree stumps, roots, branches and twigs of Alder and Birch; part of submerged forest from Le Port to north of La Saline, St. Ouëns Bay. c. 10,000 - 7,090 yrs bp. 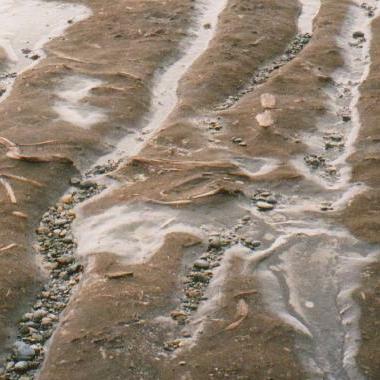 Coastal clays, possibly in lagoons from loess. Remains of mammoth tooth found; work needs to be done on dating and possible spore content. Occur from St. Catherines Bay, via La Rocque to St. Brelades Bay. Holocene. 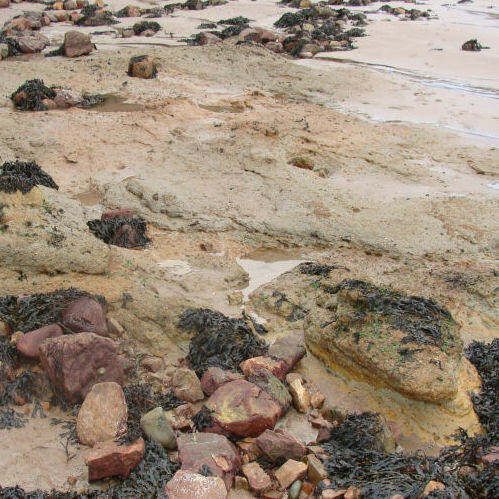 8m raised beach below loess and head at Portelet Bay, one of several formed during the last Interglacial (Ipswichian or Eemian). 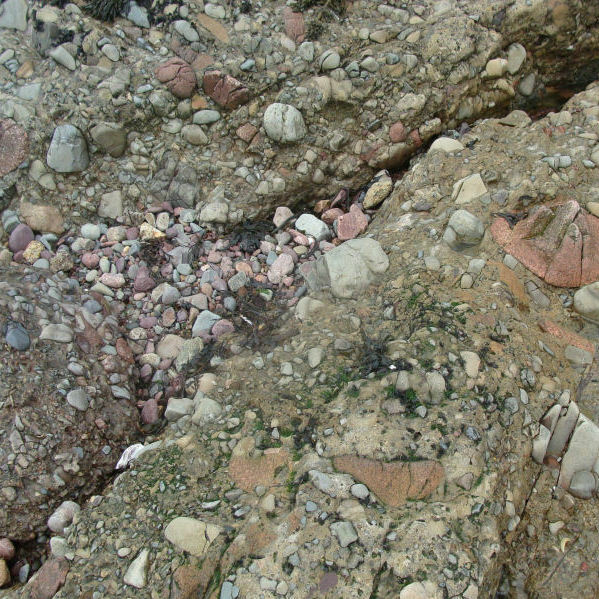 The Rozel Conglomerate with clasts of older rocks but none of the older granites. 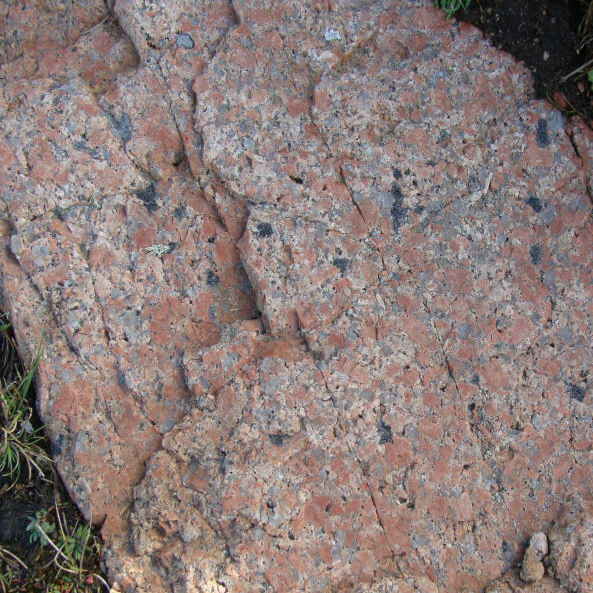 The NW Coarse granite intruded during the formation of the Rozel Conglomerate further east. 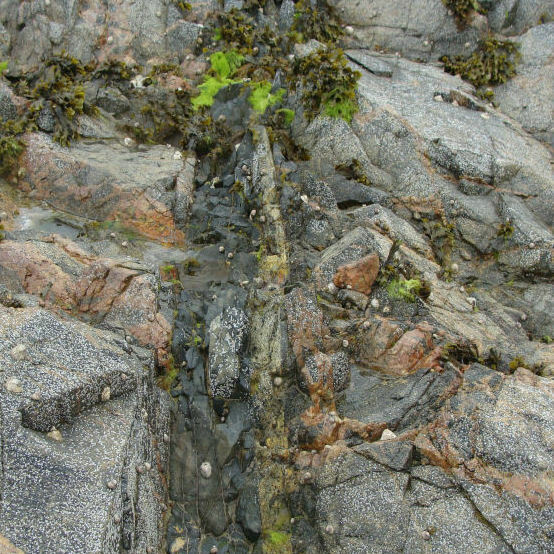 The NW Mont Mado granite, a microgranite, the youngest in the island, intruded just after the deposition of the Rozel Conglomerate. 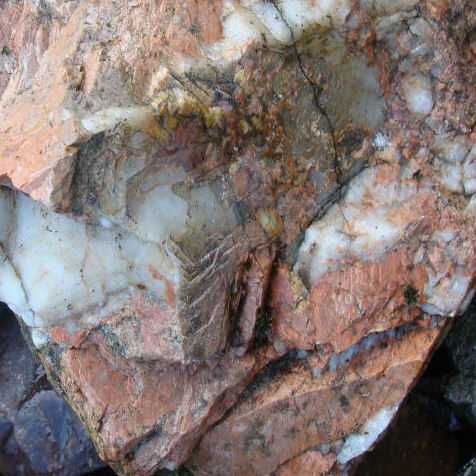 Ignimbrites, flow-banded, spherulitic and columnar, from Bouley Bay (N) to Anne Port Bay (E). 465 Ma Porphyritic NW granite and the undated Biotite microgranite in the central north of the NW granite arcuate outcrops; its texture resembles the Mont Mado granite to the east. 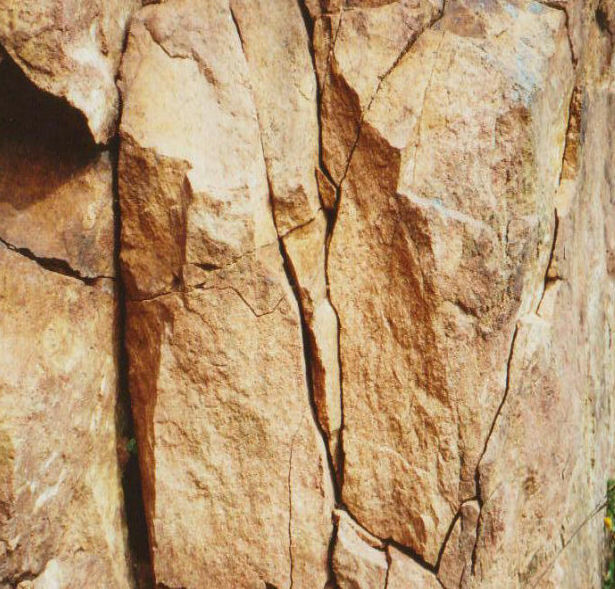 The porphyritic granite date coincides with the eruption of the Rhyolite formations to the east. 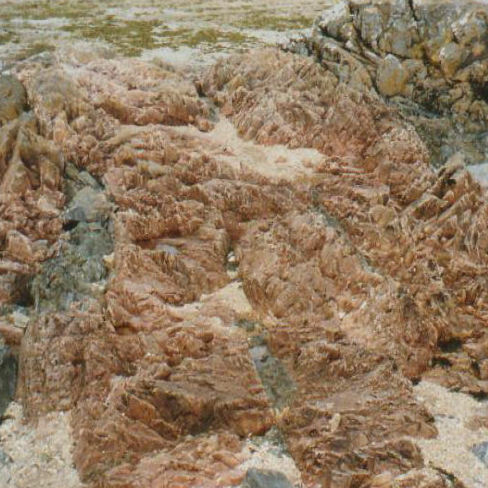 465 Ma NW gabbros, diorites and granodiorites intruded by NW Porphyritic granite (above) possibly from coeval magma at Sorel and Ronez Points, during the formation of the Rhyolites and Ignimbites to the east. 483 Ma. 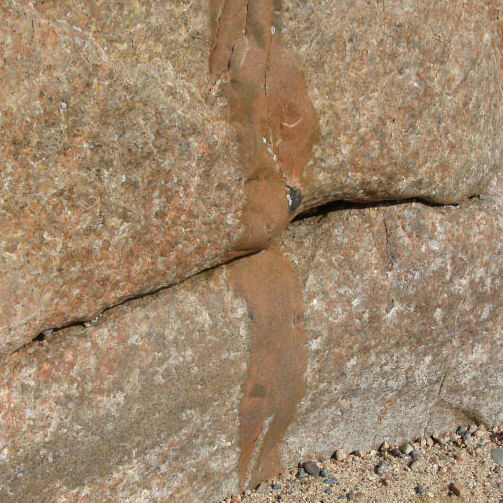 Jersey Main Dyke Swarm intruded SE granites, eg. Le Croc Pt. 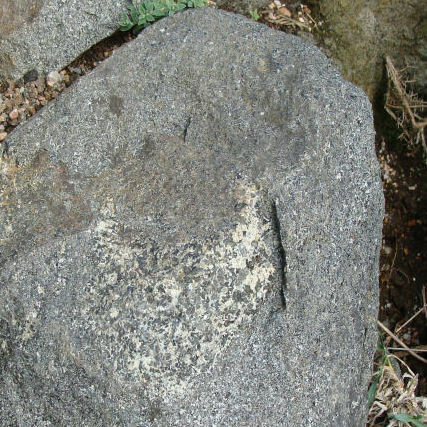 (top) and the SW granite further west. 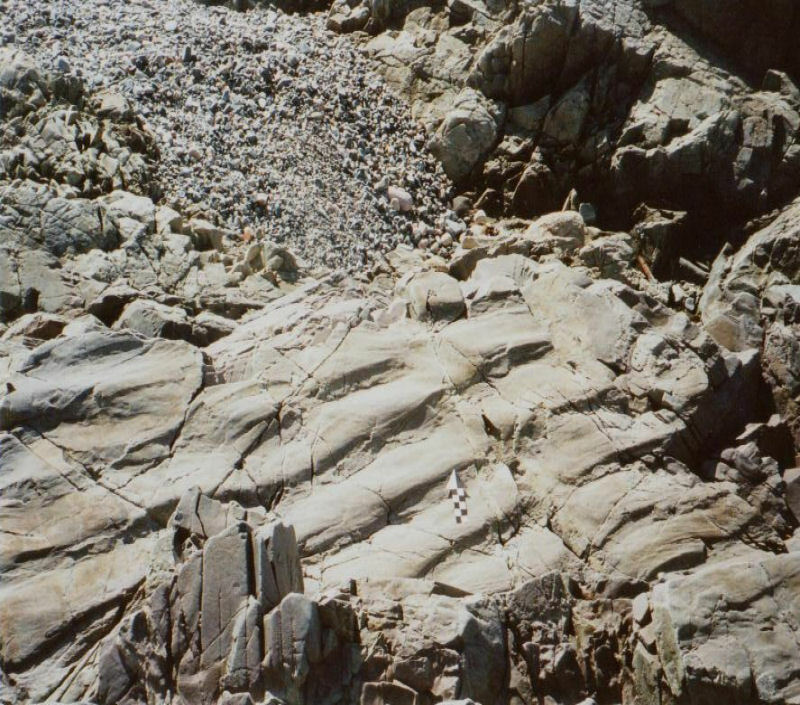 SE sequence (bottom), diorite intruded by granite veins, then by dolerite dyke (La Grève d'Azette). 483 Ma. 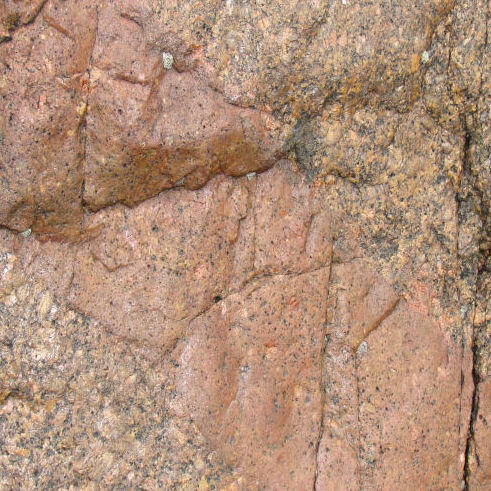 Coarse SW Corbière granite, the youngest, intruded during eastern Andesite formation. 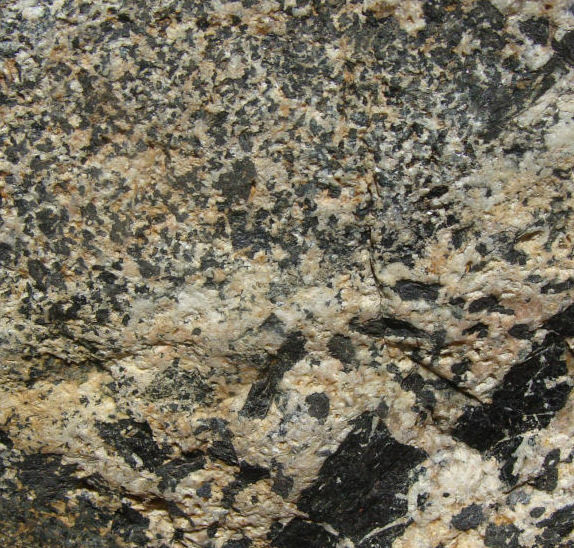 522 - 477 Ma St. Saviour's Andesite, porphyritic and vesicular, formed during SW and SE granite intrusion. 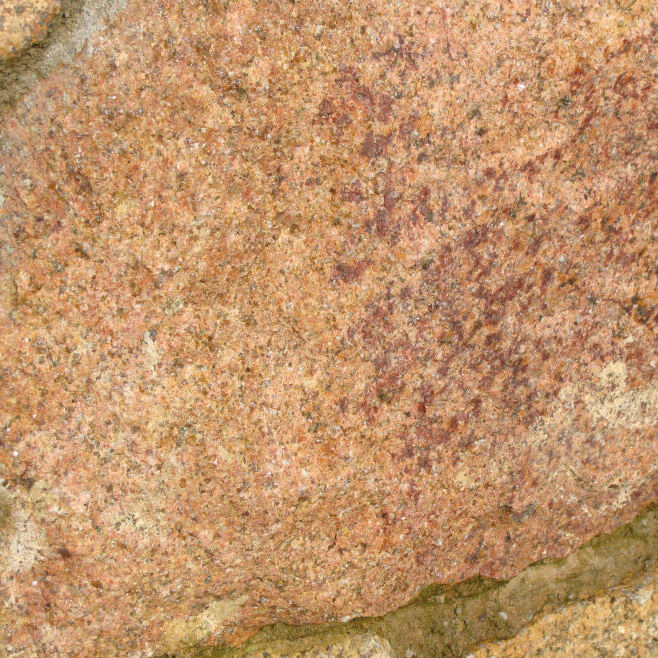 c. 509 Ma SE granite, Mt. 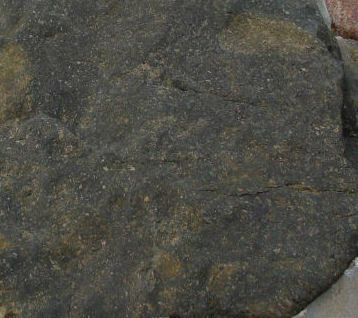 Bingham fine granophyre, linked with Elizabeth Castle granite and diorites. Intruded during andesite volcanic phase. NB. date thought uncertain. Lowest Ordovician if correct. 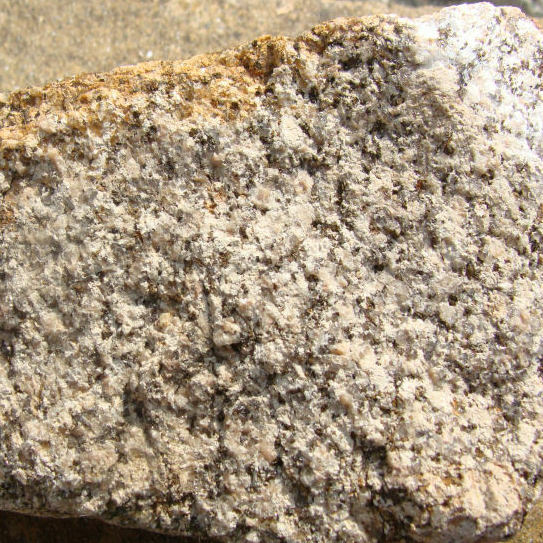 c. 509 Ma SE granite, younger La Rocque type, coarse, pegmatitic, associated with Gorey type and also intruded during andesite volcanic phase. 527 Ma. 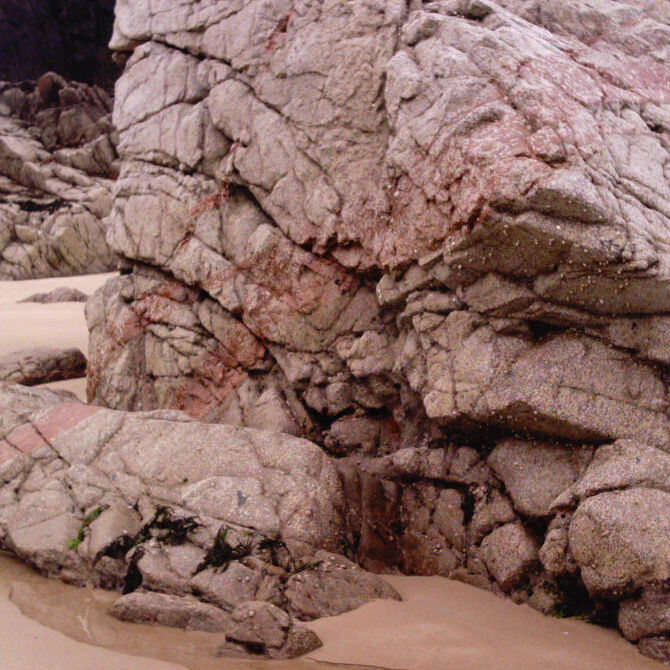 SW Beauport microgranite (aplite), south-central core outcrop; intruded into Jersey Shale but no contact. Intruded during Andesite phase. Cambrian. 550 Ma. 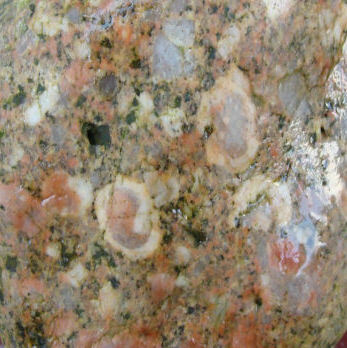 SW La Moye porphyritic granite, oldest of the three SW granites, 250m wide outcrop between Corbière and Beauport types. 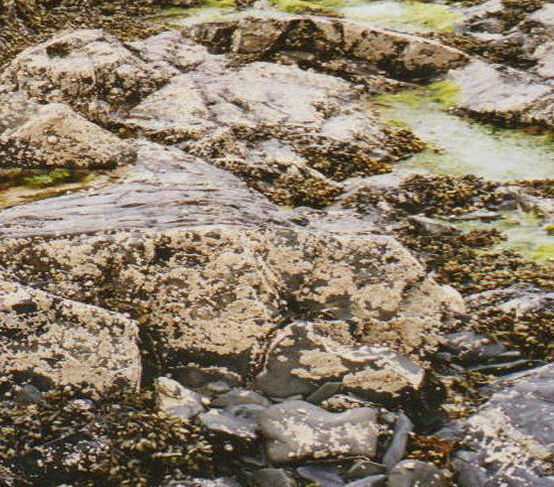 Intruded post Jersey Shale, pre Andesites?? Cambrian. c. 570 Ma older SE Dicq granite linked with Longueville type; between La Rocque and Elizabeth Castle types. Dates uncertain, intruded post Jersey Shale - pre Andesites. c. 570 Ma youngest age for Jersey Shale (unless 540 Ma Normandy age accepted). 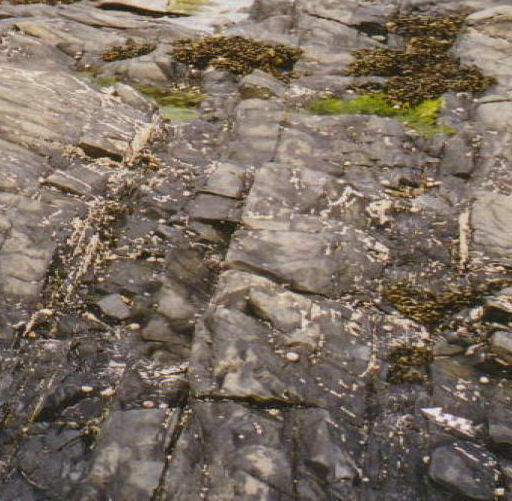 Intruded by Longueville and the La Rocque/Gorey type granites (above); followed by erosion and disconformable St. Saviour's Andesite formation. c. 580 Ma Le Nez diorites in SE granites between younger La Rocque and Fort Regent/Elizabeth Castle granites. c. 680 - 570 Ma. 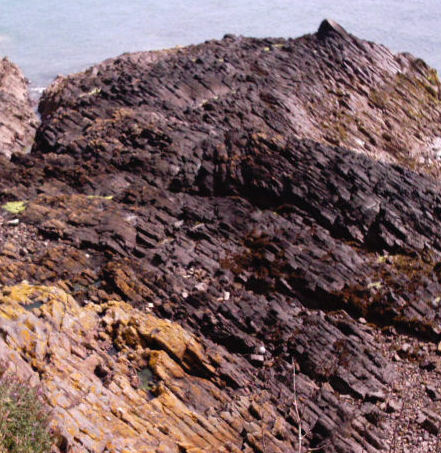 Jersey Shale Formation; turbidite-greywackes and shales, folded and faulted. 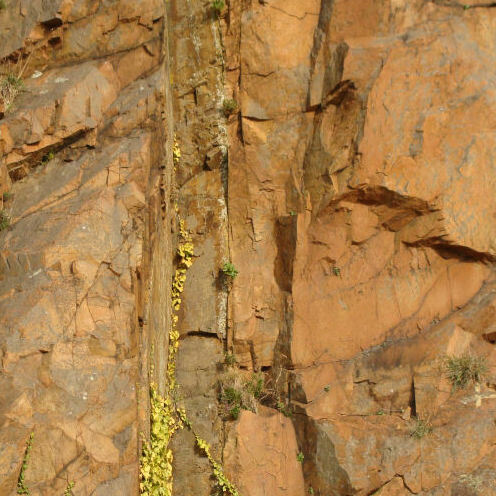 Steeply dipping shales and greywackes (top) and southerly plunging syncline (bottom). La Saline, St. Ouën's Bay. Precambrian. (Upper Proterozoic; Upper Brioverian). c. 680 - 570 Ma. 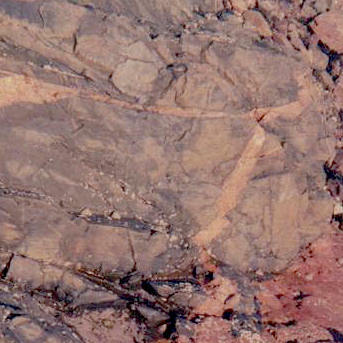 Jersey Shale Formation as above. 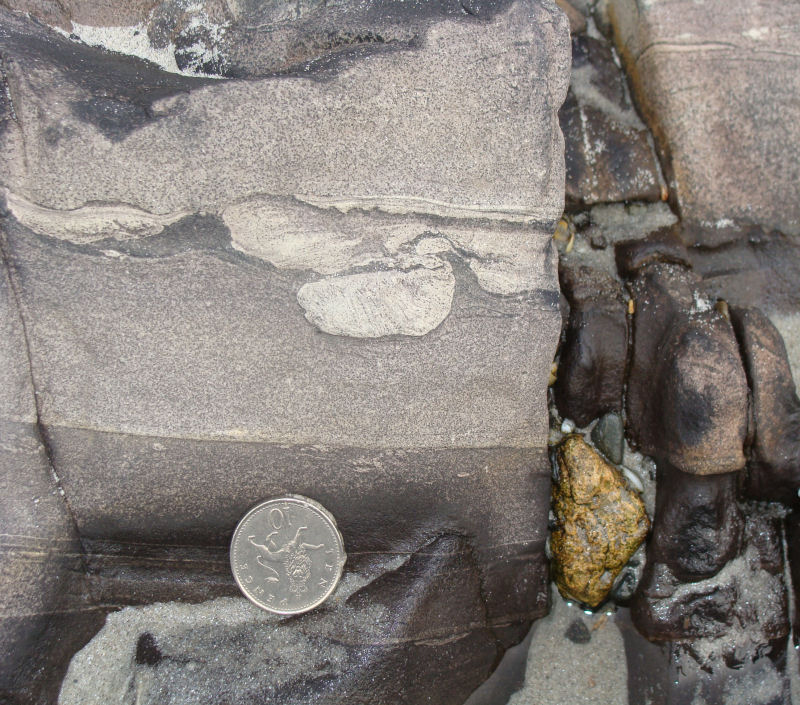 Load casts, attenuated and separated beds (top) and ripple-laminated beds (bottom) in greywackes & sandstones at L'Étacq and west of Le Pulec. Older beds possibly on the wave-cut platform west towards the Rigdon Bank. 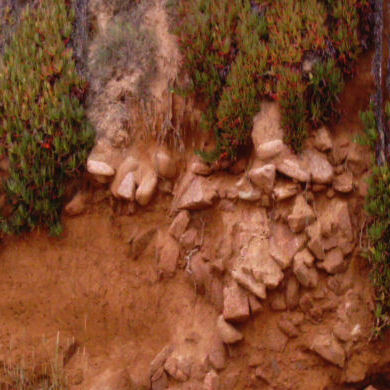 Superficial deposits dated by radiocarbon dating in Jones, Keen, Birnie & Watton, 1990. Past Landscapes of Jersey. Soc. Jers. Guerrot & Peucat, 1990, in The Cadomian Orogeny. pp. 13-27. Geol. Soc. Spec. Publ. No. 51. Other references under the Stratigraphic Table on the Geological History page.